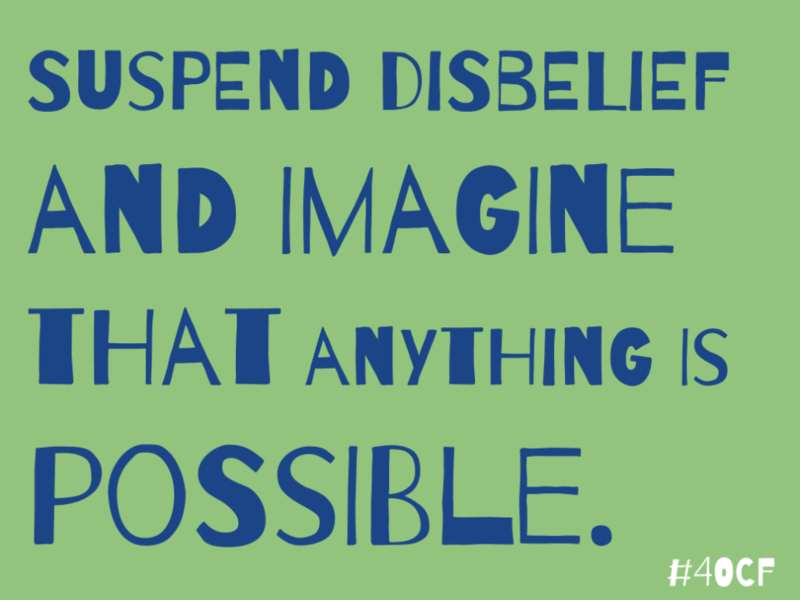 Suspend disbelief and imagine that anything is possible. What if students created their own lesson plans? What if students chose their own teachers and classrooms? What if teachers attended daily PD? What if the highlight of our day was a collaborative work session between students and teachers? What if we had no grade levels or class rosters and students could learn freely from anyone? What if we invited parents in to learn WITH their students? What if we gave teachers the freedom to build their own curriculum? What if the school was open for 24 hours a day, and we let students build their own schedule? What if teachers had the chance to build their own schedules? What if school were more about finding success NOW than preparing students for the future? Suspend disbelief and imagine the possibilities. What are your What if’s? Share them at #4OCF.